I want a baby shower were these are the main presents from the guests. There will be about 15 women and I want fun and relaxed. The gender is a surprise. The ages range from 25-56. Thank you for your theme request. It sounds like a baby sprinkle might be the best type of baby shower for you. All of those items fall under the sprinkle category so I think it might work perfect. 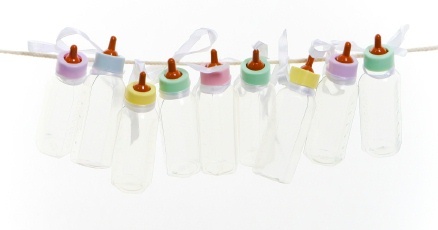 A sprinkle baby shower is a "smaller scale" baby shower in which guests sprinkle" the new mom with items that need to be replenished with each child. They are generally used for moms who have already had a baby shower for their firstborn and just need to stock up again for the next. But it can also be used for a new mom that has all of the big stuff and needs the smaller items. I don't know if this is a first baby or not, but I have a poem that might work for your invitation if it is. With a sprinkle you could decorate with a Noah's ark theme, a duck theme or pastel baby colors so that it is generic. To make the baby shower fun, you will need to pick 1 activity and 2 baby shower games to use at the shower. The games and activities will keep everyone entertained, but allow a little bit of chatting. With the gender unknown, it might be fun to play a prediction game where the guests guess the baby's height, weight, gender, birthday, and time of birth. I hope that helped. Good Luck With The Baby Shower! Comments for Diapers, Bottles, and Bathtime!!! We had a a "Diaper Shower" for my friend, on the invitations we had asked that everyone bring a package of diapers, any size. My friend ended up with almost 40 packages of diapers of all sizes! It was great. I desperately need a poem for my baby shower for a diaper Wall. A friend of mine used it for her shower and then 2 of her other friends loved the idea and used it for theirs too. Somehow the poem has disappeared and we cannot find it anywhere. I am looking for a poem for a diaper wall instead of having a wishing well or something like that!! If anyone has a poem for this idea or something like it, PLEASE HELP, and you can send it to my e-mail. My mother is running out of time before our invitations have to go out!! This is our 1st baby!! It is a Boy we are naming Brandon, due June 7, 2009. My name is Jackie and my husband's name is Kenny. My e-mail is MsMush77@aol.com, Thank you so much for your time and idea's!!! It will be more appreciated than you can ever know!! !